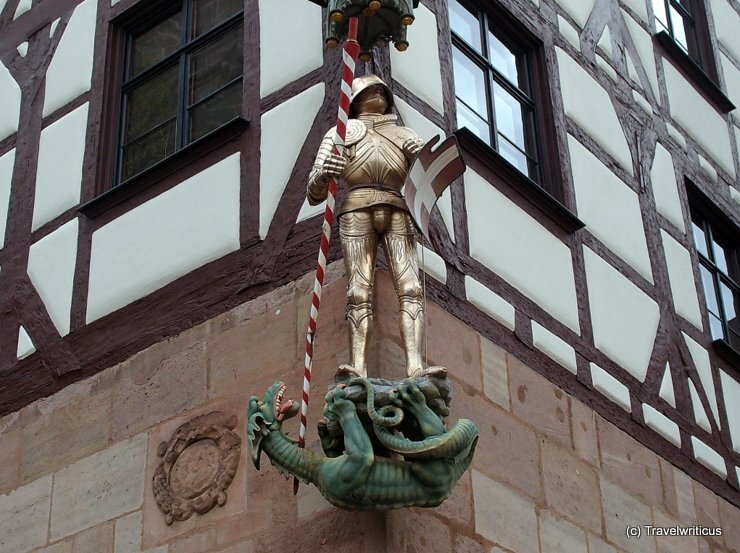 A statue of Saint George and the Dragon in the streets of Nuremberg. So far the most statues of Saint George I have seen are showing him a clear winner. Well, I’d say this time the state of the dragon is tight but not hopeless. What do you think? This entry was posted in Dragons, Sculptures and tagged Bavaria, Franconcia, Germany, Middle Franconia, Nuremberg by Travelwriticus. Bookmark the permalink.